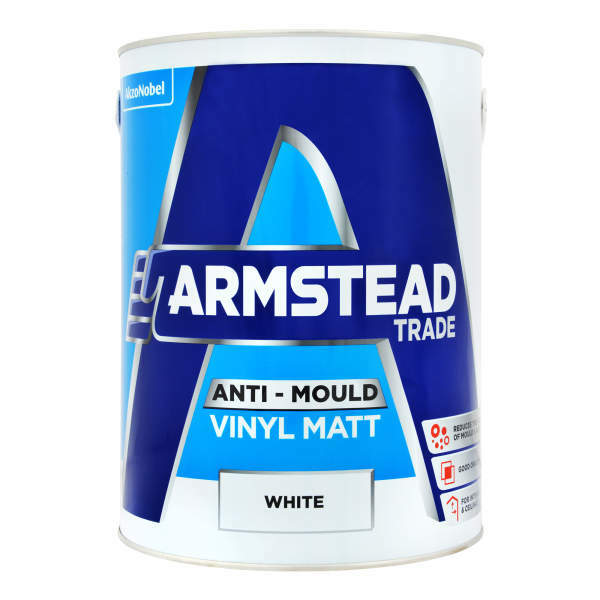 Anti-mould matt emulsion for interior walls and ceilings.Prevents the growth and spread of mould and algae. 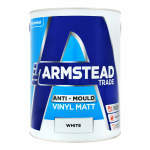 Armstead Trade Anti-Mould Acrylic is a high opacity matt finish emulsion for interior use on walls and ceilings. Suitable for areas subject to the growth of mould and algae. Application is by brush or roller with coverage up to 14 sq/m per litre. Touch dry between 1-2 hours and recoatable between 2-4 hours.